Shortly after President Donald Trump took office he began dealing with a torrent of leaks to the media — everything from comments he would make in private to information that was legitimately disruptive and harmful to national security. POTUS Trump and several of his staffers including Attorney General Jeff Sessions and Chief of Staff John Kelly vowed to crack down on the leakers and prosecute them if necessary. The first successful prosecution has now taken place. 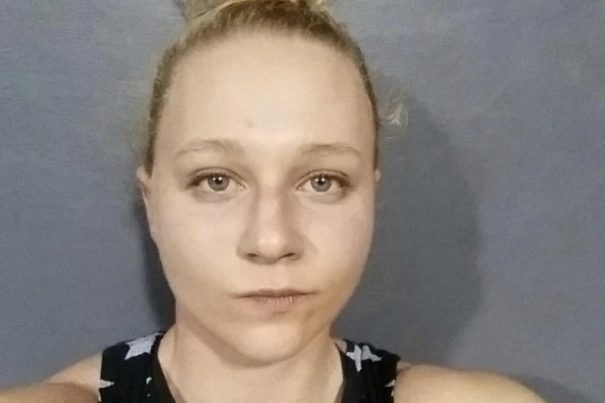 As The Daily Wire reported, former National Security Agency contractor and linguist Reality Winner has been convicted on one count of leaking classified information to a media outlet. A committed Leftist, she once commented that she wanted to “burn the White House down” and move to the Middle East. The first government employee prosecuted by the Trump administration for the leaking of classified information has just learned her fate: she’ll serve 63 months in prison after pleading guilty to leaking classified information related to Russian hacking attempts during the 2016 election. She was arrested in June 2017 after the web magazine’s reporter exposed her carelessly after providing the FBI with a photocopy of the original document, which then led the FBI to her. Winner was denied bail because, in large part, she demonstrated radical beliefs and intentions. That included once writing that she wanted to “burn the White House down” and demonstrating a “fascination with the Middle east and Islamic terrorism.” Authorities believed she posed a flight risk. She had pleaded not guilty. CBS News reported a year ago that Winner used a thumb drive to download the classified documents while she was still serving in the Air Force. At the time the thumb drive had not been found and its location was unknown. The NSA report she leaked suggested that Russian hackers launched an operation against a U.S. voting software supplier ahead of the 2016 presidential election. The government has never alleged that Russian hacking was successful and that votes were changed as a result. During trial, prosecutors presented evidence that Winner bragged to her sister during a different jailhouse phone call she would be able to easily play the court and jury because “I’m pretty, white, and cute.” She also “instructed family members to transfer $30,000 into her mother’s account so she’d appear poor enough for a court-appointed attorney,” according to WSB-TV. She pleaded guilty to one felony count for illegally sharing classified information in Federal District Court in Augusta. “All of my actions I did willfully, meaning I did so of my own free will,” she told the court. “They’re just coming down on her so tough. I can only think that it’s she was the very first one [sic]: The one they wanted to make an example of, the one they wanted to nail to the door as a message to others,” she continued. Of course, that’s true. But why is it a bad thing? If Davis is angry at anyone it should be James Comey for letting Hillary Clinton get away with trafficking in so much classified information she’d have served the rest of her life behind bars. Read more stories about national security at NationalSecurity.news.